As we all know by now, I like to read a lot when it comes to learning new sewing techniques. I browsed a lot of handbag books and found that they generally fell into one of two categories. Either they had great bags that I liked and little information on making them, or there was great information and the bag styles weren't exactly my type. I've got one of each of those to review for you today. And if you know of a good book that combines style and substance, please let me know in the comments! Bag Bazaar featured a ton of bags that I'd like to try (and one that I did!). There were cute little clutches and useful projects like a garment bag. Templates were provided for the bags with shape, and any that were rectangles or squares gave dimensions for cutting. There was a short section at the beginning that covered bag-making techniques like gussets and box stitching. 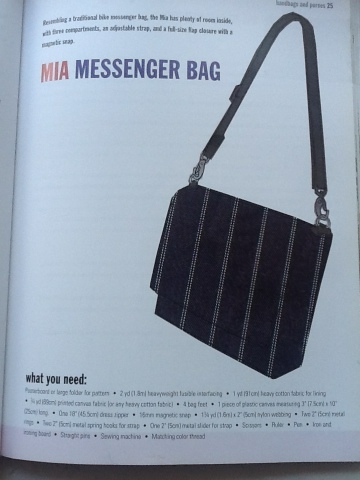 The reason I picked up this book was because I'm looking for the perfect messenger bag. When I was in college I had a denim one with two front pockets, and I took that thing everywhere. I was an English major so I only had to carry notebooks and paperbacks. Sometime over the last few years, two apartments, and one house, it disappeared. Sad face. This is close to what I want, but is perhaps a bit too fancy. I don't want feet on the bottom or too much hardware. 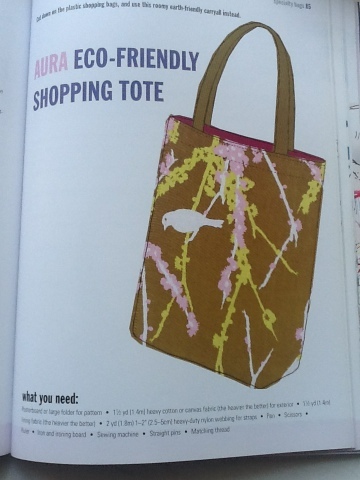 It's probably the most simple bag in the whole book, which is what I wanted. All the details will be in tomorrow's post! 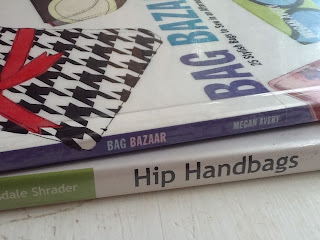 Hip Handbags is a fun read. It's laid-back and feels like you're just reading an email from a sewing buddy. Aside from that, there is SO much creativity in the book. The author gives a few basic designs, then shows how each one can be customized for different looks. The patterns are provided scaled down and you can easily scale them up with graphing paper, because the proportions are given (no copier needed!). 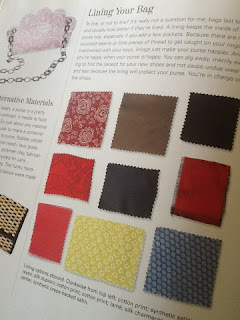 There was also a thorough discussion of fabrics, notions, and techniques for bag sewing. Again, this was done in a conversational manner so it was a breeze to get through these parts. 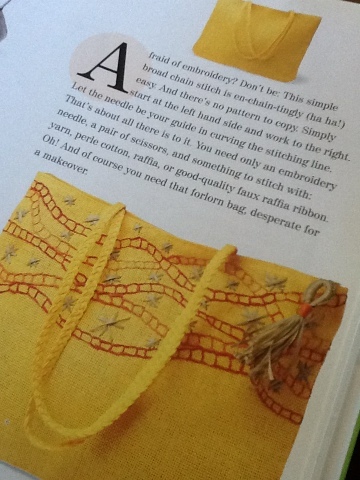 But the author didn't leave it with a how-to and patterns to create from scratch. There is also a great gallery of embellished store-bought bags, with before and after photos. The only drawback to Hip Handbags is that it may be a touch dated (published SO LONG ago in 2005) or maybe the styles just weren't to my taste. Regardless, the inspiration is definitely there and I'm so glad I grabbed this one.